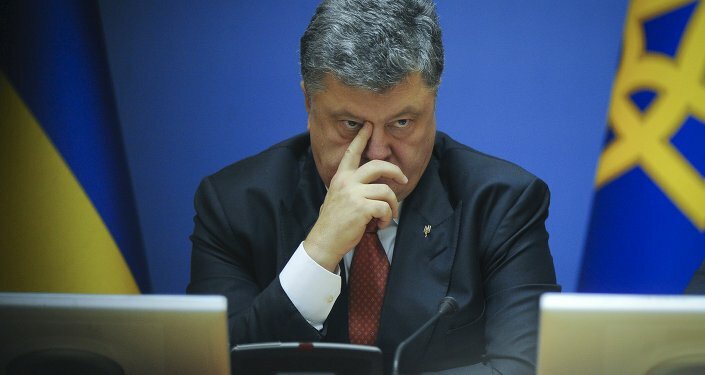 WASHINGTON (Sputnik) - President Petro Poroshenko’s claim Russia was spreading fake news about Ukraine were a bid to win extremist support before the election and could be followed by provocations in Donbass or Crimea, the former adviser to US Senate Republicans Jim Jatras told Sputnik. Poroshenko told the Madrid newspaper El Pais in an interview published on Tuesday that that Russia through RT television and Sputnik News was spreading fake news about Ukraine, the US election, Brexit, Catalonia and Crimea, to create instability. The Ukrainian president also said that reports of the continuing civil war in Ukraine itself were Russian fake news and he claimed that 60,000 Russian soldiers have been in Ukraine, but did not provide any proof of that assertion. Jatras said Poroshenko can up the ante with Russia and hope the West will line up behind him. "There are options, such as a provocation along the line of control in the Donbass, maybe a covert attack on the Kerch Bridge, as well as other less obvious options," he said. Jatras explained that Porochenko’s latest public attacks on Russia had to be understood in the context of domestic Ukrainian politics. "Regarding Poroshenko’s actions, anything that happens in Ukraine has to be put into the context of upcoming presidential elections in 2019. 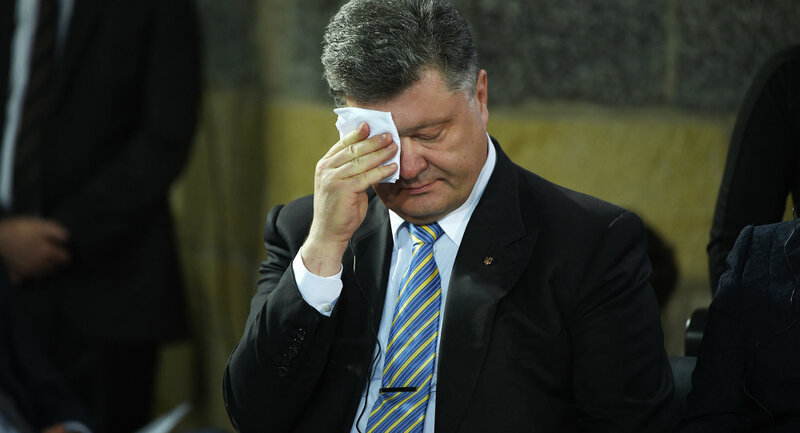 Poroshenko is running fourth in the polls and has to find a way to get into a runoff, presumably against Yulia Tymoshenko," he said. Porochenko might seek to disrupt the hosting of the World Cup Finals in Russia this summer to provoke a Russian reaction and try and use that to get increased Western support, Jatras warned. "The next couple of weeks with the opening of the FIFA World Cup in Russia is optimal timing," he said. Javelin anti-tank missiles now being supplied by the US armed forces to Ukraine could be useful in promoting a military clash with secessionist forces in Donbass, Jatras added. "The newly delivered Javelins are handy," he said. Porochenko might also want to derail signs of improving relations between Moscow and Western European nations and moves toward a summit meeting between US President Donald Trump and Russian President Vladimir Putin, Jatras observed. "The possibility of causing enough of a crisis that might force Russia to take action that would spoil what appears to be a drift in Europe toward rapprochement with Moscow, as well as tanking a possible Trump-Putin summit), could be seen [by Poroshenko] as worth the risk," he said. US Ambassador to Moscow Jon Huntsman was reportedly currently in Washington, DC, working on preparations for a Trump-Putin summit, Jatras noted. Poroshenko would be better served if he sought to reach a peace agreement with secessionist groups in the Donbas region, but he was afraid of alienating his extreme nationalist base, Jatras stated. "The most beneficial thing Poroshenko could do would be to somehow pull a rabbit out of his hat and achieve a peace deal in the Donbas. But chances of that are slim to none as it would require flexibility from Kiev that he can’t afford to show lest he be accused of being a Russian puppet," Jatras said. The internal dynamics of politics in Kiev forced Poroshenko to stick to irresponsible positions in order to protect himself from more extreme figures, Jatras commented. "Among the post-Maidan leadership accusing each other of secretly advancing Moscow’s interest is standard operating procedure," he said. Jatras pointed out the United States and the European Union would continue to ignore Ukraine’s own many documented cases of suppressing critical media as they viewed the country as a weapon to be used against Russia. "Ukraine is only useful [to the United States and the European Union] as a forward salient against Russia: Full stop. Other than that, it’s a non-issue. If abrogation of press freedoms keeps post-Maidan Ukraine ‘on the reservation,’ what grounds is there for complaint?" Jatras asked. The Ukrainian authorities have recently banned numerous Russian media outlets and harassed and arrested editors and journalists. Numerous international rights organizations and the OSCE have called on the Ukrainian authorities to cease such practices. 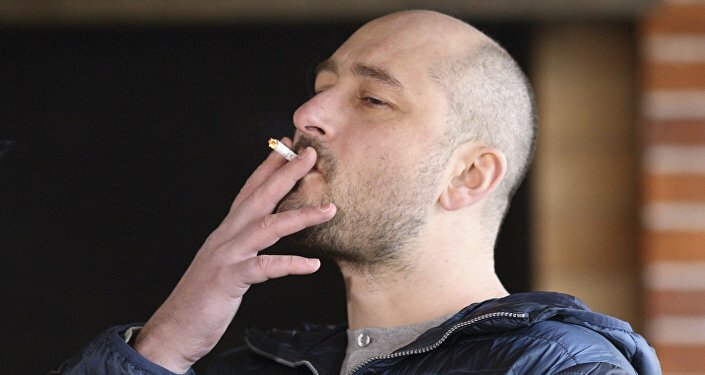 On May 15, the Ukrainian Security Service (SBU) broke into the offices of the RIA Novosti Ukraine portal in Kiev and arrested its head Kiril Vyshinsky on charges of treason. The SBU has also accused him of supporting the self-proclaimed people's republics of Donetsk and Luhansk in Ukraine's southeast.